Do You Really Need 20% Down on a Mortgage? Do you need to put 20 percent down on a mortgage? Should you? That's one of the most persistent myths about buying a home. The truth is, in most cases you don't need anywhere near that much. True, there are certain advantages to making at least a 20 percent down payment if you're able to do so. But holding off on buying a home until you've saved that much is not only unnecessary, it will likely end costing you more over the long run - perhaps a lot more. Why put 20 percent down? Conservative financial writers often urge potential homebuyers to wait until they can make at least a 20 percent down payment on a home. Doing so will enable you to avoid the additional cost of paying for mortgage insurance and will help you qualify for the lowest mortgage rates as well. A larger down payment also means smaller monthly mortgage payments. A down payment of that size also provides you with a cushion against the possibility that housing prices might fall and your home could decline in value. That way, you can still sell or refinance if you need to and not have to put up any additional money, unless there's a big decline. That notion is at least partly a legacy of the Housing Bubble and Great Recession, when many homeowners wound up "underwater" on their mortgages when housing values collapsed, owing more than the property was worth. But there's no actual requirement that you put 20 percent down on a mortgage, unless you have fairly bad credit or are taking out an unusually large loan. In fact, there are a lot of options that will allow you to buy a home with as little as 3-5 percent down – even if you don't have great credit. The big advantage of going with a smaller down payment is that it allows you to buy a home now, rather than waiting years to save up a 20 percent stake. Meanwhile, you're continuing to spend money on rent that could be going toward a home. You also could be missing an opportunity in that mortgage rates continue to be unusually low by historic standards. Rates have been low for about a decade now, but there's no guarantee how long that will continue. So you could be facing significantly higher rates by the time you're finally ready to buy. As noted above, one of the big advantages of putting 20 percent down on a home loan is that you avoid the additional cost of mortgage insurance. That's billed as part of your monthly mortgage statement and typically runs about 0.5 -1 percent of your loan amount per year. That's not an insignificant amount, but bear in mind that it's little different from paying an additional 0.5-1 percent on your mortgage rate. So if rates rise while you're saving a down payment, those savings from not paying for mortgage insurance could be wiped out. In addition, private mortgage insurance (PMI), the type you get on conventional mortgages backed by Fannie Mae or Freddie Mac, can be canceled once you reach 20 percent equity. FHA mortgage insurance is more difficult to get rid of, but you can still get out of it by refinancing into a new loan once you reach 20 percent equity. You also have to consider how long it would take you to save up for a 20 percent down payment. For many people, that's 10-15 years or longer. You could be a long way toward paying off a 30-year mortgage in that time. Is a small down payment riskier? 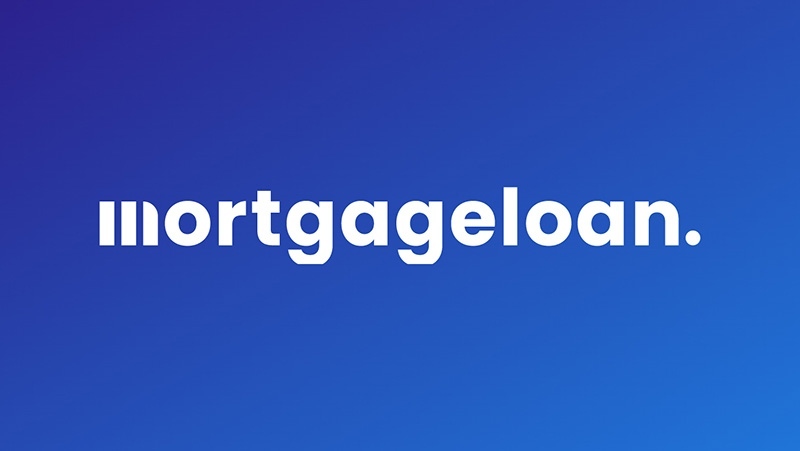 Yes, it is – for your lender. Lenders like big down payments because they give them a cushion in case the property goes into foreclosure and they have to sell it for less than what you paid for it. Unless housing prices really collapse, like they did in the Great Recession, 20 percent gives them a pretty good margin and even means they might come out ahead if you default on the loan. From your end, though, ask yourself this: if for some reason you do end up defaulting and lose the home to foreclosure, what would you rather do: lose the 3.5 percent you put down on an FHA loan or the 20 percent down payment you'd been saving up for years? Which seems like the less risky approach to you? On the plus side, a 20 percent down payment does give you a bit of a cushion if you find yourself in financial difficulty and unable to make your mortgage payments. In that event, you may be able to sell the home and perhaps even get a bit of cash back, and protect your credit in the process. With only 3-5 percent down, your equity might be eaten up by closing costs and you might even have to put in some extra money in order to sell. Even if you default on a mortgage with a small down payment, your lender is still protected. That's where mortgage insurance comes in. It covers the difference between the down payment you make and 20 percent down, so the lender still gets 20 percent of the home value to cover any foreclosure losses in the event of default. That's what the insurance is paying for. If you're looking for a mortgage with a small down payment, what are your options? The following are some of the main ones. This is the classic low-down payment mortgage. FHA mortgages require only 3.5 percent down, and are available through most mortgage lenders. In addition, they have less stringent credit requirements than on many other types of mortgages, and offer better interest rates for borrowers with flawed credit. The downside is that you may have to pay more in fees than on other types of mortgages, and that you have to carry mortgage insurance for the life of the loan if you put less than 10 percent down. Still, they're a good choice for borrowers who are just beginning to establish their credit or who have some blemishes on their credit history. Often referred to as "conventional" or "conforming" mortgages, these are the most common types of home mortgages in the United States. Fannie Mae and Freddie Mac do not make loans themselves, but provide backing for loans that meet certain standards. Many lenders offer Fannie/Freddie mortgages for as little as 3 percent down, though 5-10 percent minimums are more common. Credit standards are higher than on FHA loans, but Fannie/Freddie mortgages often offer better terms for borrowers with good credit. For those who meet the eligibility requirements, VA loans are hard to beat. Veterans and others with certain types of military affiliations can purchase their first home with no money down in most cases and can often do so on subsequent properties as well. Interest rates and other terms are very attractive, making VA loans the preferred choice for most eligible veterans looking to buy a home. Though somewhat obscure, this federal program offers mortgages with 0 percent down to eligible borrowers. There are a number of restrictions, however - eligibility is income-based, homes purchased must be modestly priced and borrowers must currently lack adequate housing. Homes purchased under this program technically must be in rural areas, but the definition includes many small towns and suburbs; "non-urban" may be a more accurate description. Funds for this program are limited and there may be a waiting list. The number of lenders offering these loans is relatively small; check with your closest USDA office to find one serving your area. Though they aren't actual mortgage programs, many state and local housing agencies offer down payment assistance programs to help borrowers obtain the funds needed for a down payment on a home. These may be in the form of loans, grants or other assistance that varies by location. Check with your state or local housing agency for more information. In addition, the U.S. Dept. of Housing and Urban Development (HUD) offers a "Good Neighbor Next Door Program" that allows members of certain public-service professions to obtain mortgages with only $100 down. Eligible professions include police, firefighters, EMTs and K-12 teachers. Homes purchased must be in certain targeted neighborhoods to be eligible.